It was really hot yesterday. 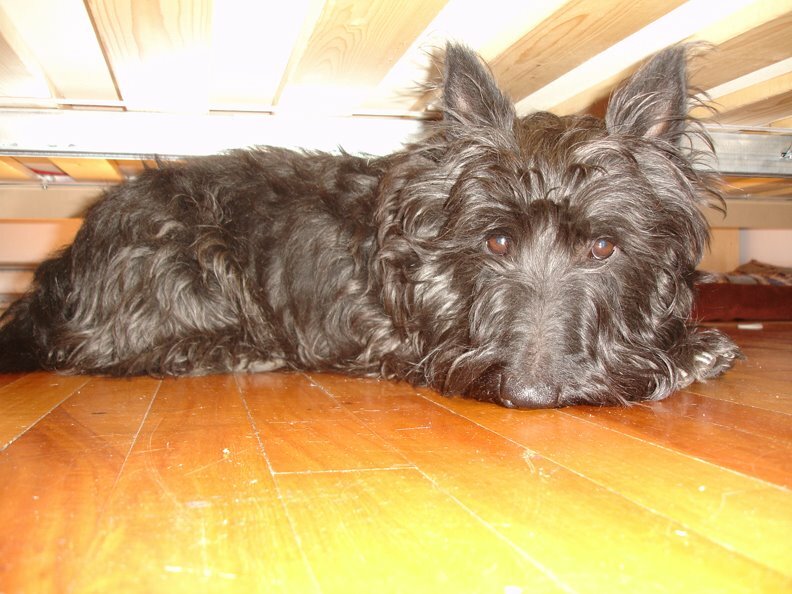 Little Tiny was so hot that he claimed sanctuary under the bed. We're going to get him a haircut this upcoming Saturday. It is well overdue. Btw - Spitfire's "Cult Fiction" album comes out in about a week! Can't wait!